If you’re visiting with us for the first time, we’d like you to know exactly what to expect. Your comfort is our first priority! 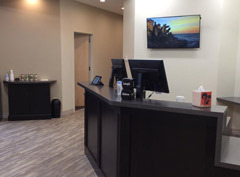 Upon arrival at our office, you’ll be warmly greeted by one of our staff members, who will provide you with some new patient paperwork to fill out if you haven’t already downloaded it from our website. The first visit usually takes between 30 and 45 minutes, but can take up to 60 minutes for a more detailed or difficult case. We also ask that you bring any recent X-rays, MRI’s or CT scans, if possible, and all insurance information. During this visit, Dr. Mandy will provide you with a report of findings. This report is an explanation of the results of your combined examination testing. Dr. Mandy will also recommend a customized care plan to get you out of pain and on the road to wellness as quickly as possible. We’ll estimate the length of time required to complete your program, as well as your initial frequency of visits. We’ll make sure that you know exactly what we can offer in the way of help, support and education. Dr. Mandy will also discuss our popular financial options and advise you of your insurance availability. It only takes about 15 minutes for a regular office visit, so busy families can usually get in and out of the office quickly. We’re also very flexible when it comes to moving or changing appointments. We try to be very accommodating of your time; we know life can get hectic! Approximately every 12 visits we also do a brief progress exam that includes another thermal scan. The purpose of these exams is to assess how well your adjustments are working and how your nervous system is responding. We’ll also want to pinpoint the unique stressors in your life so that we can eliminate them or help you to manage them more effectively. 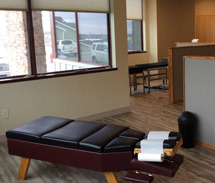 Life Expressions Family Chiropractic is a cash practice. Each patient is responsible for payment for any services rendered. We do not bill insurance companies. We will, however, provide you with an itemized statement outlining your services so that you may be personally reimbursed when you submit your bill. We offer reasonable individual and family financial plans, specific to your needs. If you have insurance, we urge you to bring in your insurance information so that we can verify your insurance coverage and the benefits offered by your carrier. We’d love to have you as a practice member! Call us today at (701) 223-8413 to get started on your path to wellness!